Ever since I was a child, I have loved to draw. Being a fairly imaginative youth, my passion for creating visual art soon led me to drawing comics. My first attempts were really nothing more than self-insert Dragon Ball Z fanfiction, and it wasn’t until my early college days that I started taking my comics more seriously, creating original stories and characters. My problem mostly came from a lack of the proper tools, as pencils, ink and standard office 8×12 limited even my more serious attempts at illustration. That all changed the day I got myself a Wacom Bamboo tablet and a copy of Photoshop. No longer did pencil smudge, eraser lines and ink bleeding through the page limit me. Suddenly, not only, did my range of possibilities improve, but so did my abilities as I experimented with different styles; I was finally drawing without boundaries. I had always figured that the next logical progression in my artistic career would be to upgrade from an artist tablet to a legitimate tablet screen, perfectly merging the technology with the physicality of drawing. Unfortunately for me, those things are extremely pricey and there was no way I could ever afford one on an artist’s salary. That was until I discovered Bosto.ca’s Kingtee 22U Mini Pen Display tablet. 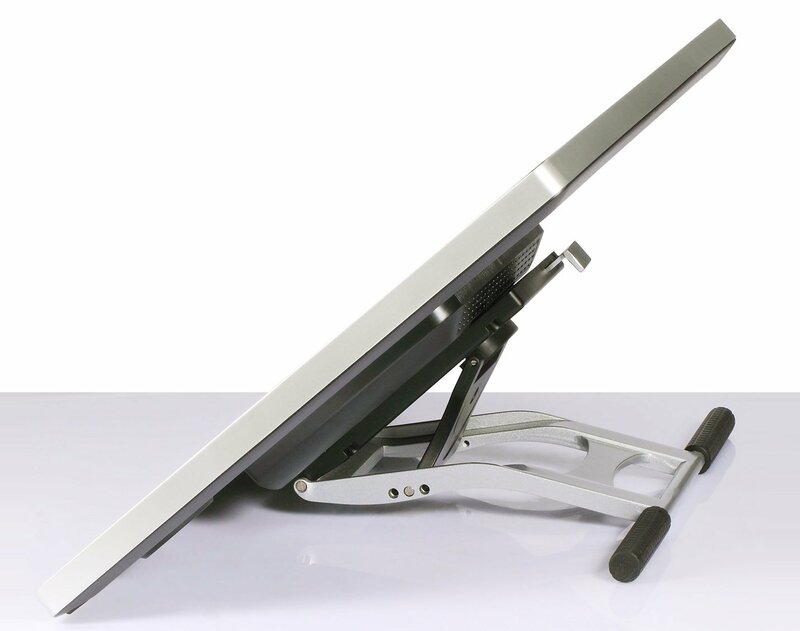 The Kingtee 22U Mini features an ergonomic and lightweight profile neatly enclosing an H-IPS LED display panel offering 1920 x 1080 native resolution. 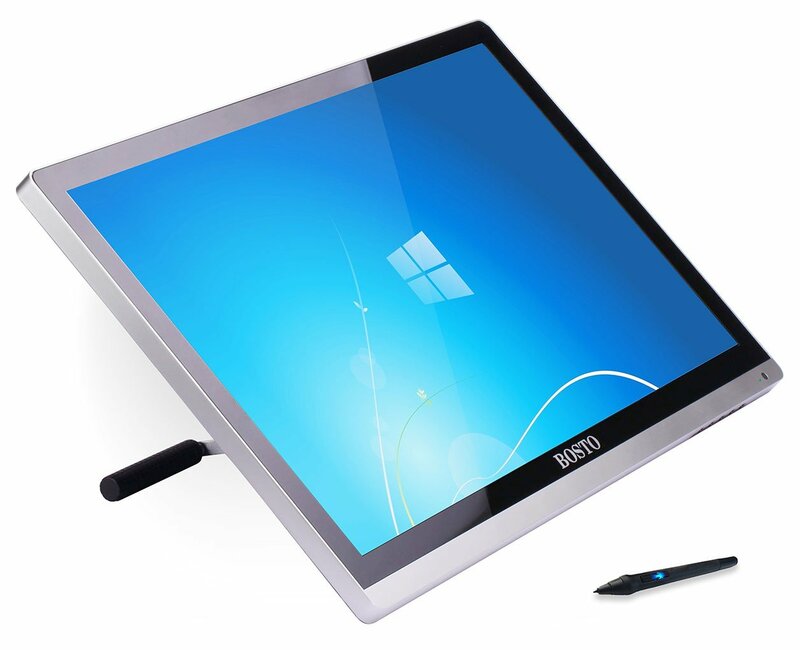 It connects simply, via USB and HDMI and its adjustable stand makes it perfect for a dual-screen environment or a digital canvas, offering a 178° viewing angle and a 21.5” screen. The Kingtee 22U Mini is incredibly precise, offering 2048 levels of pressure sensitivity, and while the internal hardware is excellent, it can be formatted to work with Wacom drivers to suit your personal preference. Drawing on it was extremely fun, albeit very different to what I’ve grown accustomed to with my Wacom. Motions were fluid and the sensitivity of my pen-strokes was superb. It is definitely the device more suited to legitimate digital artists, digital comic artists may want to stick with a simpler Wacom device. The Kingtee 22U Mini isn’t limited to artistic endeavours. 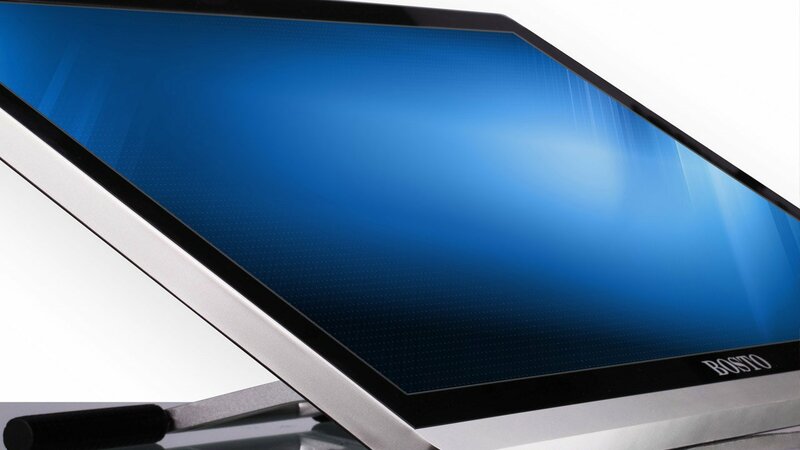 Functioning as a dual-screen opens up a world of possibilities for such a personal touch-screen device. One possibility in particular is gaming. In my experience with the device, I tried my hand at a bit of Civilization on it and it worked quite well. However, it would seem given the screen and pen combo, real-time-strategy games are the only genre that would be suited to the device. More so, the Kingtee 22U Mini is mostly geared to more modern games. Trying a bit of Starcraft on it proved extremely difficult as the game’s decreased aspect ratio didn’t sync with the screen, which resulted in a bit of input lag when moving the pen across the screen. Priced at $599.00 (compared to most Wacom Cintiq which can range from $1,249 to $2,999) the Bosto Kingtee 22U Mini is the perfect device for any digital artist looking to take his or her craft to the next level, or a sleek and intuitive dual-screen for gamers or tech junkies. The Kingtee 22U Mini isn’t limited to artistic endeavours. Functioning as a dual-screen opens up a world of possibilities for such a personal touch-screen device.